Manchester United are desperately in need of three points, having lost three games on the bounce in all competitions, last week. They avoided fourth Straight defeat when they beat Northampton 1-3 in the EFL cup third round. 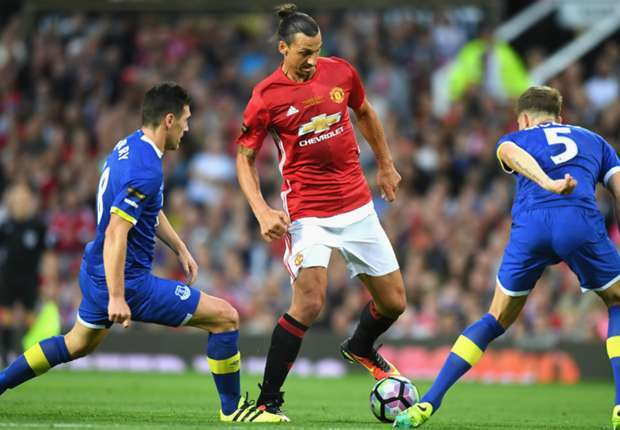 They face the tough task of hosting defending champions Leicester City at Old Trafford. United will need some inspiration if they are to beat Leicester after following up a decent performance in their defeat to City with underwhelming losses to Feyenoord in the UEFA Europa League and Watford in the Premier League. Morale is clearly low, and manager Jose Mourinho has some big decisions to make if he is going to turn United’s form around. Unlike United, who won their opening three games of the new league season, the Foxes have followed a poor start to the campaign with a recent upturn in form. Having been hammered 4-1 by Liverpool, Leicester’s two most recent results were a 3-0 defeat of Club Brugge in the UEFA Champions League and a 3-0 win over Burnley last time out in the Premier League followed with a loss to Chelsea in the EFL cup third round. Given the respective form of both sides, Claudio Ranieri’s men should be confident of at least claiming a draw, but United will surely be buoyed by being back in front of their home fans. United should win this and get the mojo back. What an interesting spectacle these two sides provided us with last season! The Toffees who were known for their inability to protect leads failed to see off the Cherries despite being 2-0 up, and 3-2 up in stoppage time. That defensive frailties was on display as they left the South Coast with just a point. They had taken a two goal lead and heading into the 80th minute before Josh King inspired a fightback with a goal. The game was tied at 2-2 going into stoppage time when Everton struck what looked to be a stoppage time winner only for Junior Stanislas to fire home a 98th minute equaliser despite having six minutes added on at the end of ninety minutes instead of the aforementioned eight. For Bournemouth, their frailties have continued in this new season as they followed up their 4-0 defeat to Manchester City with a 2-3 home defeat to Championship based-outfit, Preston North End. They’ve scored just three goals and conceeded nine despite possessing the firepower of Josh King, Benik Afobe, Callum Wilson and Jordon Ibe. It won’t get any easier when they welcome Everton to Dean Court on Saturday afternoon. The Toffees are second on the table after a superb start to the season under manager, Ronald Koeman. Fours wins and a draw have seen the Toffees move up to second, and the manner in which they recovered to beat Middlesbrough on Saturday after trailing would have pleased the manager. They couldn’t continue their winning streak in midweek though, as they lost 0-2 at home to Championship highflyers, Norwich City. Idrissa Gueye has been the star of the show for the Toffees as he’s been impressive in the middle of the park, as well as the perfect foil for Gareth Barry. His interceptions and tackles have seen the defence concede only three goals this season and will be key to their chances of a win at the South Coast when his abilities will be tested due to Bournemouth’s short passing and build up from the back. Expect an open encounter with goals at both ends and Lukaku is set to continue his scoring form against a defensively frail Cherries side. Everton will be defensively tighter compared to last season and that could be key. the moment and they look set to continue in that form when the Tigers come calling this weekend. A 2-1 win over Chelsea in which they outfought, outmanouevred and outplayed their hosts was a delight to watch.That was on the back of a comprehensive 4-1 hammering of champions, Leicester City. They followed the Chelsea win with another masterclass display as they thrashed Derby County 3-0 in the EFL Cup with Divock Origi amongst the goals after seeing his header superbly saved by the Chelsea keeper. Hull, after a good start to the season, have only picked a point from three games, which was a stoppage time equaliser from Robert Snoodgrass at Burnley. The Scott was also on target as they lost 1-3 at home to Arsenal at the Kingston Communications Stadium on Saturday. A much changed line-up managed to beat Stoke City 2-1 in the EFL Cup on Wednesday despite being on the ropes for most part of the game. On paper, this should be a walk in the park for the Reds, BUT, the Reds have a habit of turning in lacklustre, lackadaisical and lethargic displays against ‘smaller’ teams. Hull will head to Anfield without fear as the least anyone expects them to get is a hammering and will defend stoutly, while Abel Hernandez and Adama Diomande will be useful at holding up the ball when they receive long punts upfield. Snoodgrass will be key in this game, as he’s been this season as the teams’s major creative outlet. Expect Liverpool to swarm around him whenever he has the ball. I’m still tipping Liverpool to win this convincingly, but won’t in anyway be surprised if they struggle. successive defeats in the Premier League. A 2-1 home defeat to Crystal Palace was followed by a 1-3 defeat to Everton on Saturday, and the manner in which they surrendered at Goodison Park, would have worried manager, Aitor Karanka. They had taken a 21st minute lead, only for Everton to equalise three minutes later. Two late first half goals saw them trail 3-1 at the break, and despite the introduction of David Nugent at the break, they surrendered meekly and were fortunate not to concede in the second half. A repeat of that poor display will be punished by Spurs who thrashed Gillingham Town 5-0 in midweek with Eriksen, Janssen and Josh Onomah on the scoresheet. That was on the back of a hard fought 1-0 win over Sunderland on Sunday afternoon. That win came at a cost though as key players are doubts for this game. Spurs have a midweek Champions League tie away to CSKA Moscow on Tuesday, and Pochettino might rest some key players. Harry Kane, Kyle Walker, Moussa Dembele and Eric Dier were injured against Sunderland and are doubts for this game. A defeat at home to AS Monaco on Matchday 1 will see Spurs have one eye on the Moscow tie, hence, Pochettino might rotate, which could see Janssen lead the line. Kieran Trippier and Ben Davies could deputise in the full back positions. This game has the inklings of a draw, but Spurs could take their eyes of the ball, due to their involvement in Europe, which could hand Boro the advantage. A season that was earmarked with great hopes and aims of a remarkable Top 6/Top 8 finish at the Britannia is turning out to a nightmare characterized by cataclisymic defeats and colossal fall culminating in the lugrubious looks being churned out by Mark Hughes on the touchline. An opening day draw at Riverside against Middlesbrough is the only point recorded by the Midlands based side as they’ve suffered four consecutive defeats, of which three are heavy hammerings. Things got worse on Wednesday night when they lost 2-1 at home to Hull City. An early Marko Arnautovic strike had put the Potters on their way to a victory, but were made to pay for their profligacy in front of goal as Hull equalised before half-time and won it late in the game. Hughes was also fined £50,000 by the FA for his conduct in his touchline dismissal against Tottenham Hotspurs. He’s unlikely to get any respite this weekend, when his team face West Bromwich Albion. Its an understatement saying Mark Hughes is under pressure, he’s walking a tight rope at the moment, and a defeat in this game could be the final straw that breaks the camel’s back. Mick McCarthy, Roberto di Matteo, Andre Villas Boas and two other Premier League managers have all been sacked after losing against West Brom and Mark Hughes needs a big performance from his team to avoid threading that part. West Brom come into this game on the back of a 4-2 win over West Ham United thanks to a brace from Nacer Chadli. This game ended 1-0 to Albion last season, with Salomon Rondon scoring the only goal after Stoke had two men sent off in the game. West Brom will sit and invite Stoke to come break them down. With Rondon, they have a player capable of unsettling the Stoke defence with his burly presence, and Nacer Chadli, who’s made a fantastic start life at the Hawthorns. I see Albion compounding Stoke’s problem as West Brom’ll nick a goal on the counter, could be Salomon Rondon or a set-piece strike from one of their defenders. PREDICTION: STOKE CITY 0-1 WEST BROMWICH ALBION. Things are not looking rosy for David Moyes as his Sunderland side lie in 19th position on the league table after four defeats and a draw in their opening five games. They managed to secure passage to the 4th round of the EFL Cup on Wednesday night, after two late strikes from Paddy McNair saw them beat Queens Park Rangers at Loftus Road. They face a Crystal Palace side who are on a run of two consecutive victories following a poor start themselves. They hammered Stoke City 4-1 on Sunday afternoon, which follows their 2-1 win at Middlesbrough. Their winning run however, was truncated by Southampton at St Mary’s, as the Saints won 2-0. For Sunderland, they need to start picking up points as soon as possible to avoid plummeting further down into relegation waters. This game has a 1-1 draw written all over it. I don’t think Palace will lose this game while the Sunderland fans will be expecting an improved performance from their side after they were thrashed by Everton 3-0 in their last home game. Cup, we are treated to the Volume 2 of the Swansea City vs Manchester City spectacle on Saturday afternoon at 15:00 GMT. Gylfi Sigurdsson’s late strike a mere consolation. City have won all five games this season with a combined aggregate score of 15-4 which shows an average of 3 goals per match. The Citizens have been a delight to watch with Kevin de Bruyne key to their play with his runs from midfield. David Silva has dropped few yards backwards, playing deeper but still retains the same amount of influence. Raheem Sterling has looked reborn, churning out a series of impressive performance. strike against Bournemouth making it 10 Premier League goals from 14 attempts on target. Francesco Guidolin’s side have won only one game this season, which was their opening day 1-0 win at Burnley. Defeats to Hull City, Leicester City and Southampton have all followed, sandwiched by a 2-2 draw against Chelsea. They were absolute rubbish against Southampton last week. Not until the Saints broke the deadlock did the Swans muster any form of fight and should have been down by an avalanche of goals but for the profligacy of the Saints fowards. This looks like a game where City could run riot, BUT, they have a UCL tie in Glasgow on Wednesday against Celtic, which could prompt Pep Guardiola to rest some players. Sergio Aguero has completed his three match ban, and could start or pave way for Iheanacho to start. Fabian Delph, Jesus Navas and Fernando could all get a run-in in this game. Few expect Swansea to get anything from this game. They created the better chances on Wednesday night, and ought to have taken the lead before City scored. A shock could be on the cards here! PREDICTION: SWANSEA CITY 2-1 MANCHESTER CITY. hostilities between two bitter rivals from the Red and Blue side of London respectively. Arsenal hosts Chelsea at tea time on Saturday in what promises to be a blockbuster game. The Blues have created some form of hegemony over the Gunners as they are yet to taste defeat in their last Premier League encounters. They’ve won six and drawn three after losing 3-5 at home in October when Andre Villas Boas’s highline defence was brutally exposed by a Robin Van-Persie inspired performance as the Dutchman bagged a hattrick that day. Both sides have equal points, this season but the Gunners are a place ahead on the table thanks to a superior goal difference. Form wise, both sides are equally matched. Diego Costa has been the deciding factor in three of the last four encounters between these two sides. He scored the clincher in Chelsea’s 2-0 win October 2014 whilst missing the return leg in April 2015 at the Emirates. His gamesmanship abilities was at his peak, as his antics saw Gabriel Paulista sent off for Arsenal culminating in the implosion which cost the Gunners yet another defeat. He also bagged the winner in January as Chelsea won 1-0 and was fouled by Mertesacker which led to the Spaniard being sent off. Cesc Fabregas turned in a man of the match performance against Leicester City in midweek and is hopeful that earns him the start as he’s had to sit on the bench for the more defensive-minded Nemanja Matic. with Chelsea sitting deep and hitting the Gunners on the break through the pace and trickery of Willian and Hazard. Expect Costa to be at his usual best of winding up the Arsenal centre backs. John Terry did not travel with the squad after injuring his knee in the 2-2 draw against Swansea, hence, a centre back pairing of Luiz and Cahill should deputise for Chelsea. season in 7th, a lot was expected from Slaven Bilic’s men, but they’ve struggled to live up to that expectation this season. Agreed, they’ve faced Chelsea and Manchester City in their opening five games, but the performances at home have been very poor. They’re also out of the Europa League after losing to Romanian minnows Astria Giurgiu 2-1 on aggregate. The height of their poor performances came against Watford two weeks ago. A pair of Michail Antonio’s headers had given them what looked like an unassailable lead, but Watford scored twice in the first half to level the scores, and scored two more goals in the second half to win it. They also lost 4-2 to West Brom last week. The move to the Olympic Stadium has been difficult, and its set to get even more difficult when they welcome the Saints to St Mary’s on Sunday evening. After a slow start to the season, the South Coast based side have racked up three wins on the bounce without conceding. A 3-0 win over Sparta Prague in the Europa League was followed by a hard-fought 1-0 win over Swansea. On Wednesday they booked their passage to the next round of the EFL cup after a 2-0 win over Crystal Palace. Charlie Austin has scored four goals in these past three encounters, and should start alongside Redmond in their 4-4-2 formation. This promises to be a cagey affair. Not much is expected in terms of goalmouth action. With the Saints riding on a wave of momentum, I’m tipping them to win. Lancashire where the Clarets hosts the Hornets. Its been an excellent two weeks for Watford after a rather poor start. They’ve picked up 4-2 and 3-1 wins over West Ham United (away) and Manchester United (home). Odion Ighalo has broken his scoring duck, and looks sharper in front of goal despite missing a sitter against United while Troy Deeney has also scored in the past two games, the latter, a clincher penalty in the win against United. Their topscorer this season, suprisingly, is Etienne Capoue. The Frenchman has scored four times in five games and will look to continue his scoring run against. The Clarets have four points on board after a win and a draw, sandwiched by three defeats this season. Sam Voakes and Andre Gray should lead the line, with both, yet to find the back of the net since the 2-0 win over Liverpool in August. Patrick Bamford, on loan from Chelsea should get some minutes under his belt, probably in the latter stages of the game. Daryl Janmaat was injured against United, so Moroccan winger, Nordin Amrabat should deputise in his absence. Sebastian Prodl has been a rock this season, and was very impressive against United. He is unlikely to get much of test against a Burnley side lacking any real quality although a physical battle between the Austrian and Gray should be interesting. The paintings, drawings, inklings and writings of the game points towards a draw, although both sides have what it takes to find the back of the net.